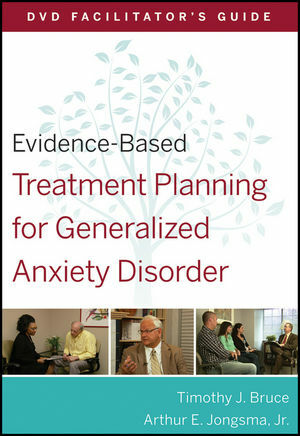 This DVD Facilitator's Guide to the Evidence-Based Treatment Planning for Generalized Anxiety Disorder (DVD sold separately) is designed to help teachers or trainers conduct lectures or training sessions on the content of the DVD. The guide follows each section of the DVD, providing succinct summaries of key section content, section review test questions and answers, and test questions and answers covering key concepts. The DVD, Companion Workbook, and Facilitator's Guide are designed so that instructors can cover only the content of the DVD or springboard into further coverage of any of the concepts. Timothy J. Bruce, PHD, is Professor and Associate Chair of the Department of Psychiatry and Behavioral Medicine at the University of Illinois College of Medicine in Peoria, Illinois, where he also directs medical student education and serves as associate director of the psychiatry residency training program. Highly recognized as a clinician-educator, Dr. Bruce has received nearly thirty awards for teaching over his career. Arthur E. Jongsma, Jr., PHD, is the Series Editor for the bestselling PracticePlanners®. Since 1971, he has provided professional mental health services to both inpatient and outpatient clients. He was the founder and director of Psychological Consultants, a group private practice in Grand Rapids, Michigan, for twenty-five years. He is the author or coauthor of over forty books and conducts training workshops for mental health professionals around the world.